Katie Dial of Syd&Lou is joining us today to share her method for finding great pieces and how she styles vintage in her own home. You can find Katie’s collection of pieces at Cottage Grove Vintage Market, open Wednesday through Saturday. KD: Where to start...I grew up in Charlotte, went to college at UNC-Wilmington where I earned my degree in nursing, and worked as a nurse for six years. When we moved to Greenville four years ago, my husband and I decided I would stay home, seeing as how we were pregnant with our first daughter. I have always loved vintage and antique furniture and accessories. It probably started with my mom. I remember her letting me help her strip a piece of family furniture when I was 12, and it hooked me. I have always been on the “hunt.” Whether it was for my own home (which is full of my treasures and furniture and such that I've found, or was passed down and made "new" with a little love) or for friends and family, I live to find great furniture and accessories, sometimes in the most unusual places. Everything has a story and a history, and makes a home that much more special. KD: I met Susan when I became a "regular" at Cottage Grove. I literally was that girl that went every Wednesday morning at 10 when the shop opened for the week to see what was new. That is when all the new things are stocked and ready after all! 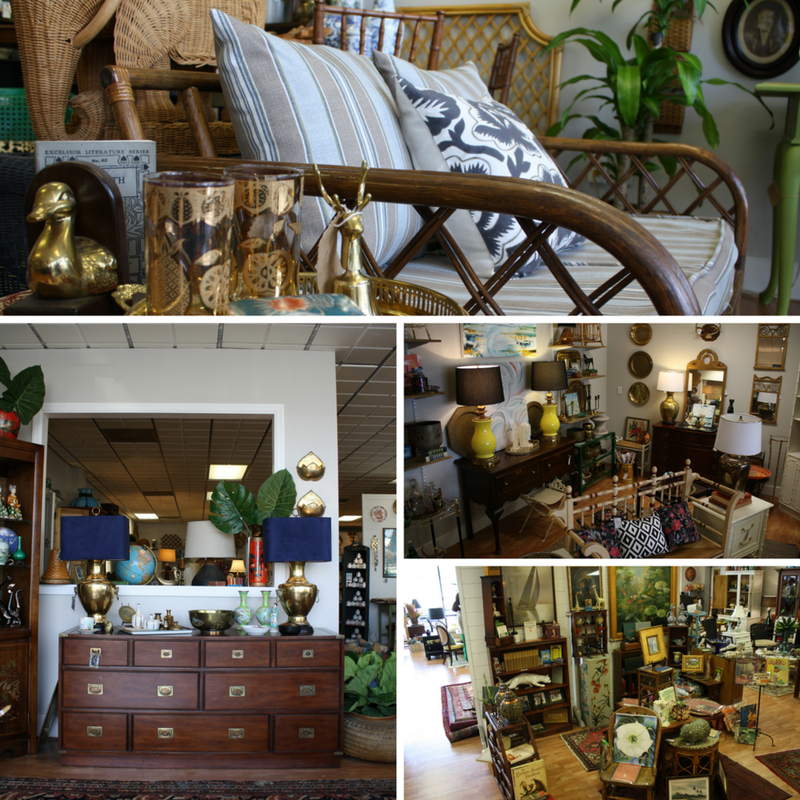 I shopped for myself and friends, and would tell Susan about all the finds I had found over time, and one day she asked me if I would ever want to sell furniture at Cottage Grove. It was like the stars aligned, because I had talked to my husband for over two years about the possibility of getting a space somewhere to sell my finds, but nothing had been quite right. But this opportunity was just what I was looking for, even if it was when I was 6 months pregnant with my second child (ha!). Sometimes you just have to go for it! KB: What’s your favorite part about running Syd&Lou? KD: I love finding great pieces--some need love, some are great as-is--and bringing them to people. I do the "dirty work" so that everyone can share in the fruits of the vintage world. Its finding that amazing piece and then seeing people excited about it that keeps me coming back for more! Plus, it gives me an excuse to treasure hunt! KD: Eh, how do you nail that down?! 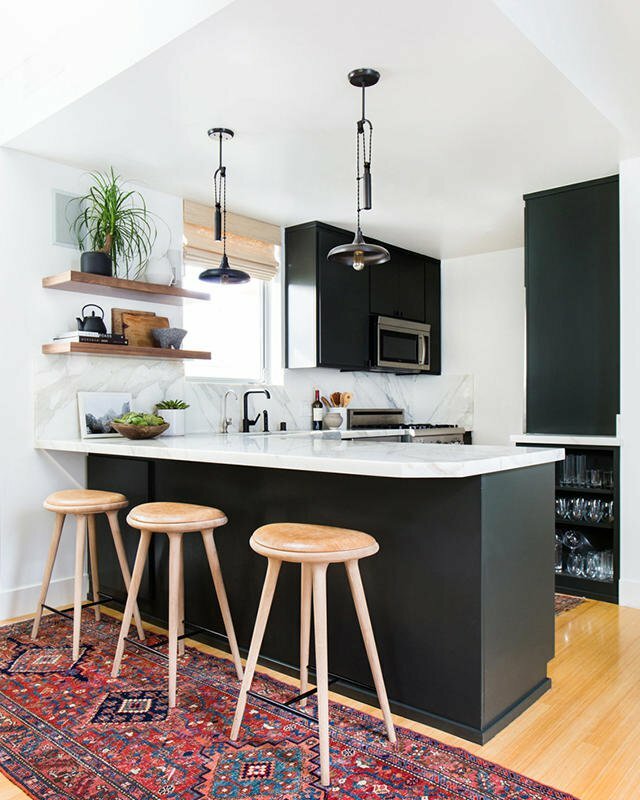 I think I like mixed/eclectic style: a little bit traditional, a little bit modern, a little transitional, throw some Asian influence in there, and a touch of coastal, and pretty much just anything else that feels fun and awesome! 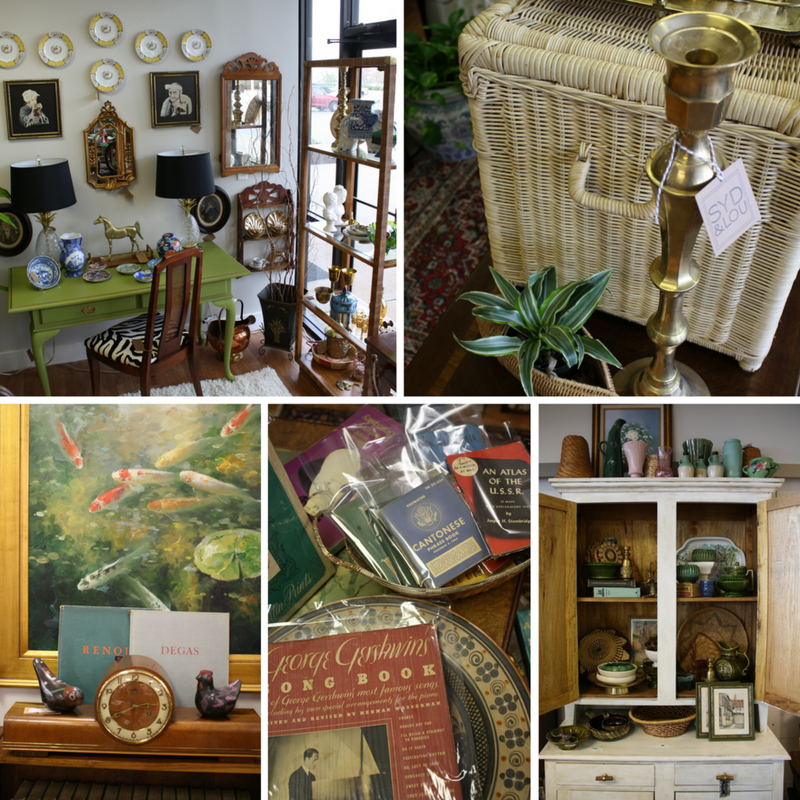 KB: What’s your process for selecting items for your space at Cottage Grove Vintage? Is there a method for picking pieces you know will resonate with customers or is it more of a gut feeling? KD: I love interior design, it's a bit of a side hobby for me, so I'm constantly looking at design mags, blogs, and fabulous Insta designers for inspiration. I try to find pieces that I love, and that are what you might find in the latest House Beautiful or Domino. And sometimes I buy something and then find it in a design mag sooner than later, it's fun! I traditionally won't buy anything that I wouldn't put in my own house. I don't think I could put something in my space with clear conscience that I didn't love, call me crazy! It's why I do this! And so far, it seems to work, so I'll just keep trucking! 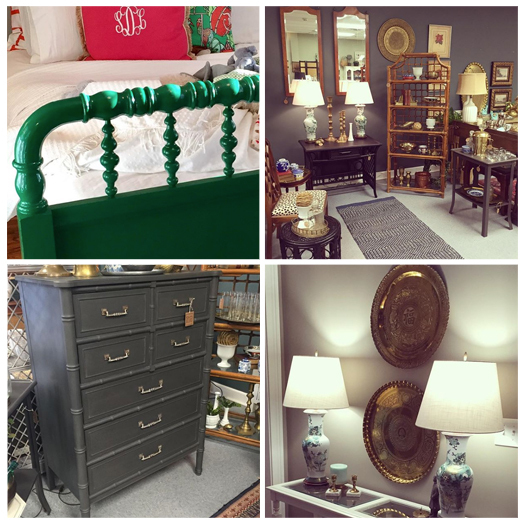 KB: Where do you find inspiration (either in picking pieces for the shop or in styling your own home)? KD: I'm constantly scouring the design world for inspiration, and then I just go with what I love. In my own home, I have a mix of old and new, painted and natural, and I love mixing metals! I love the character of our older home, so I accentuate that and add in some "in style" pieces to keep it fresh. KB: Do you have any favorite trends or pieces right now? KD: I love faux bamboo, and have for a while! Six years ago I picked up one of my favorite pieces of furniture in my house off the side of the road!! It was a tall faux bamboo shelf in the original finish that had been put on the curb, just waiting for a new life. I drug it home (to my husbands dismay, but he has since seen the light) and convinced my hubs to cut it in half. Then I painted the now 2 shelves, and have loved their (free) faux bamboo-ness ever since, before it was "in". And this love has remained. I have a few other prized bamboo pieces in my house, but those shelves started it all. KD: I have tons of vintage in my house, but I wouldn't say that anyone would be aghast at the "old stuff" when they come in. I've tried to mix it and update it enough to retain the beauty of older furniture, while making it fresh and livable. For example, our living room, the first thing room see in our house, has one, yes ONE, NEW piece of furniture, a crazy large shelf from RH. Everything else is "old", but not in a scary way. I think if you find good pieces, and either refinish, paint, re-upholster, or reimagine them, you can save money, make a statement, and fuse the history in with good style. You definitely have to be picky, not all vintage is created equal! But if you love it, and if you are drawn to it (you know those pieces you love immediately and can't stop thinking about) then buy it!!! You can always find a place for it! So many times, I have gotten rid of pieces that I was lukewarm about for pieces I knew I couldn't live without. I have never regretted a single one, and that way when I walk around my house, I love the pieces that are there. Cottage Grove is such a great resource, and I tell people all the time, because everything has already been picked through and curated. We do the wandering, and scouring, and digging so you don't have to! I strive to bring my best so everyone can just enjoy. 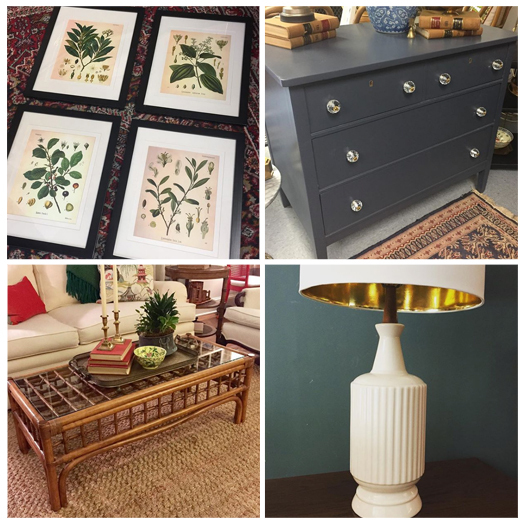 Keep up with Katie's latest finds on Facebook and Instagram.